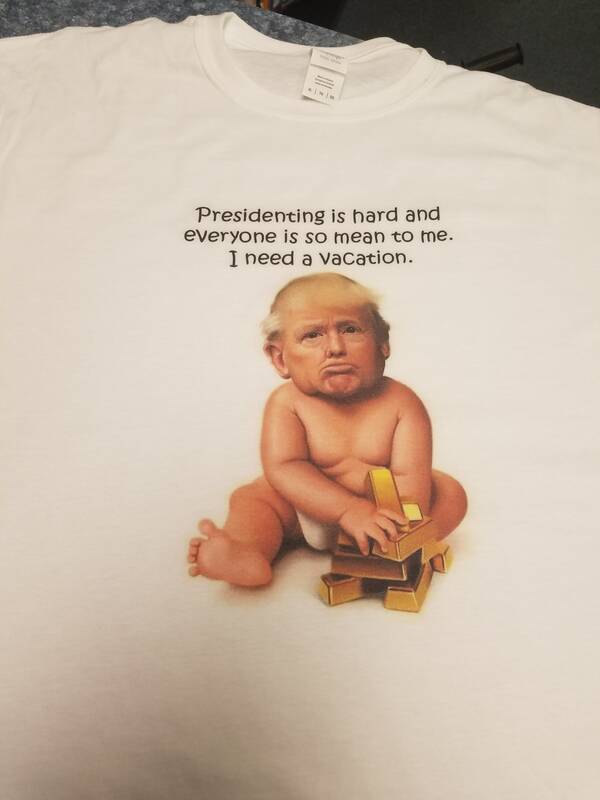 One of our many political tees focusing on our current Commander in Chief of the US. 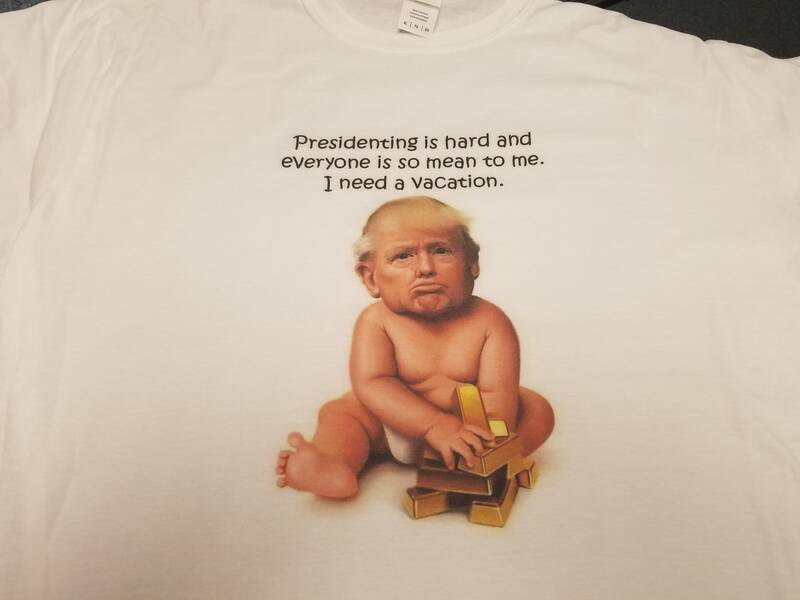 If you are of the opinion he needs to lead and have thicker skin...this could be the tee shirt for you. As always here at Usdogs2Designs, we believe life is too short to not have a good time so we offer funny tees that aim to promote conversation and laughter. Available on ringspun cotton white tees and in multiple sizes. Printed locally in Wilmington NC.